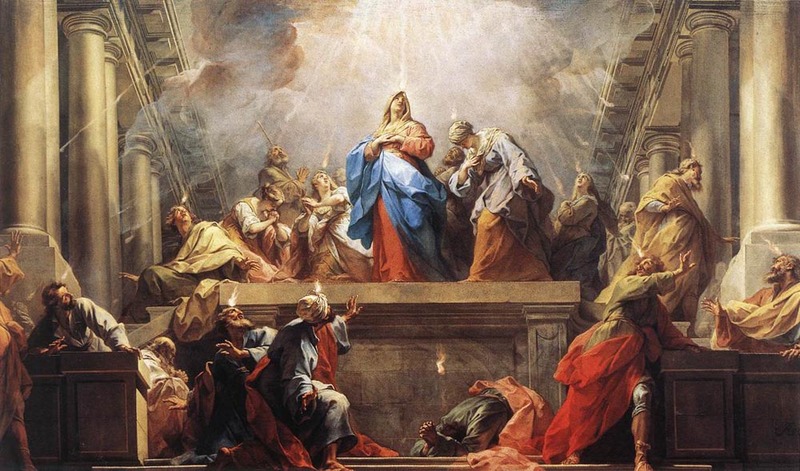 We have compiled some quotations for pertaining to Pentecost and the Holy Spirit, from the Church Fathers and others. St. Ambrose of Milan: “So, then, the Holy Spirit is the River, and the abundant River, which according to the Hebrews flowed from Jesus in the lands, as we have received it prophesied by the mouth of Isaiah. This is the great River which flows always and never fails. And not only a river, but also one of copious stream and overflowing greatness, as also David said: “The stream of the river makes glad the city of God . . .” Good, then, is this water, even the grace of the Spirit. Who will give this Fount to my breast? Let it spring up in me, let that which gives eternal life flow upon me. Let that Fount overflow upon us, and not flow away. St. Basil the Great: “And He, like the sun, will by the aid of thy purified eye show thee in Himself the image of the invisible, and in the blessed spectacle of the image thou shalt behold the unspeakable beauty of the archetype. Through His aid hearts are lifted up, the weak are held by the hand, and they who are advancing are brought to perfection. Shining upon those that are cleansed from every spot, He makes them spiritual by fellowship with Himself. Just as when a sunbeam falls on bright and transparent bodies, they themselves become brilliant too, and shed forth a fresh brightness from themselves, so souls wherein the Spirit dwells, illuminated by the Spirit, themselves become spiritual, and send forth their grace to others. St. Augustine: Wherefore, if Holy Scripture proclaims that God is love, and that love is of God, and works this in us that we abide in God and He in us, and that hereby we know this, because He has given us of His Spirit, then the Spirit Himself is God, who is love. Next, if there be among the gifts of God none greater than love, and there is no greater gift of God than the Holy Spirit, what follows more naturally than that He is Himself love, who is called both God and of God? And if the love by which the Father loves the Son, and the Son loves the Father, ineffably demonstrates the communion of both, what is more suitable than that He should be specially called love, who is the Spirit common to both? For this is the sounder thing both to believe and to understand, that the Holy Spirit is not alone love in that Trinity, yet is not specially called love to no purpose. Dom Columba Marmion, O.S.B. Abbot of Maredsous: The Holy Spirit appeared under the form of tongues of fire in order to fill the Apostles with truth and to prepare them to bear witness to Jesus. He also come to fill their hearts with love. “He is the Person of Love in the life of God. He is also like a breath, an aspiration of infinite Love, from which we draw the breath of life. 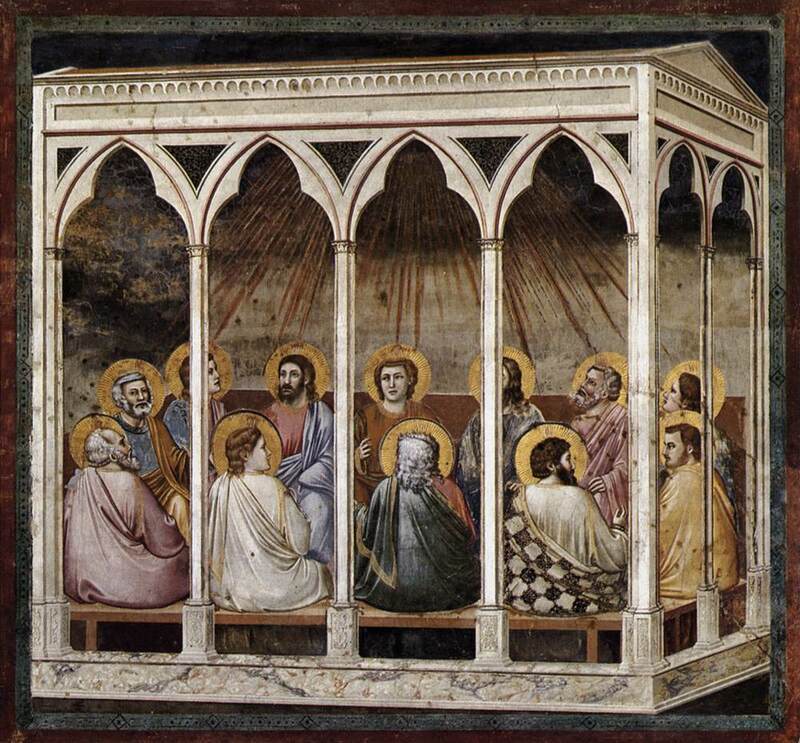 “But it is also for us that the Holy Spirit has come, for the group in the Cenacle represented the whole Church. The Holy Spirit came to remain with the Church forever. This is the promise of Jesus Himself. He dwells in the Church permanently and unfailingly, performing in it without ceasing, His action of life-giving and sanctification. He establishes the Church infallibly in the truth. It is He who makes the Church blossom forth with a marvelous supernatural fruitfulness, for He brings to life and full fruition in Virgins, Martyrs, Confessors, those heroic virtues which are one of the marks of true sanctity. Pope John Paul II: In his intimate life, God “is love,” the essential love shared by the three divine Persons: personal love is the Holy Spirit as the Spirit of the Father and the Son. Therefore he, “searches even the depths of God,” as uncreated Love-Gift. It can be said that in the Holy Spirit the intimate life of the Triune God becomes totally gift, an exchange of mutual love between the divine Persons, and that through the Holy Spirit God exists in the mode of gift. It is the Holy Spirit who is the personal expression of this self-giving, of this being-love. He is Person-Love. He is Person-Gift. 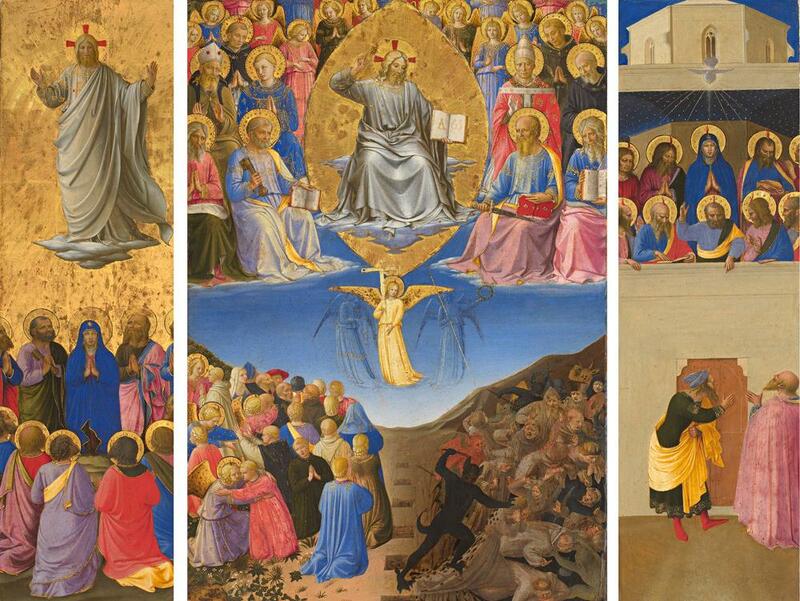 Here we have an inexhaustible treasure of the reality and an inexpressible deepening of the concept of person in God, which only divine Revelation makes known to us. Thank you for Fr. Wayne McNamara for allowing us to use his Pentecost Vigil resource. My teenage daughter is going to be confirmed in June. I would love to read a post about this tradition and commitment in the Anglican Church. Great idea! We are looking for ideas for the Trinity season, so we’ll definitely try to post something on this!